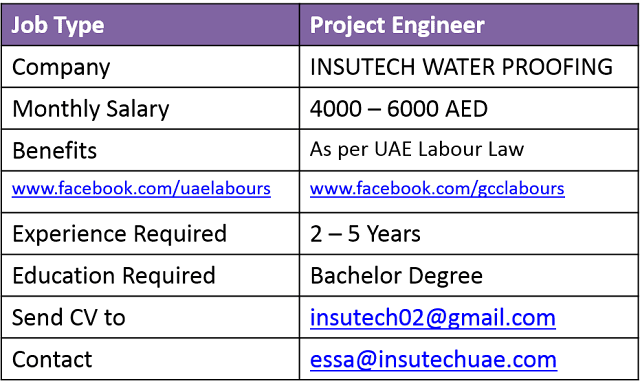 We INSUTECH WATER PROOFING LLC are looking for an accountable project engineer to be responsible for all engineering and technical disciplines that projects involve. You will schedule, plan, forecast, resource and manage all the technical activities aiming at assuring project accuracy and quality from conception to completion. 7: Review engineering deliverable and initiate appropriate corrective actions. Benefits: As per UAE Labour Law, More Details Will Be Discuss Upon Interview. Contact: We do not entertain phone calls. Email: Send your Updated Resume/CV to below mails. 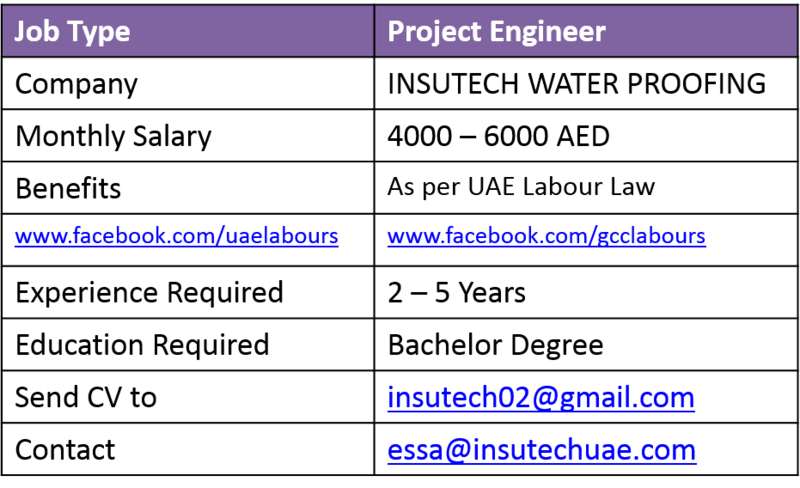 We will contact you once receive your Resume.